2019 H Mart Free Calendar for Smart card members ONLY! First come first serve, while supplies last. Please check the event starts date for each region below. 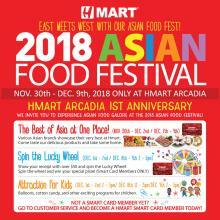 Hmart Arcadia 1st Anniversary, Asian Food Festival! Taste your way through Asia! 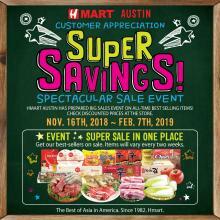 Hmart Austin, Super savings coupon event! Get our best-sellers on sale.! 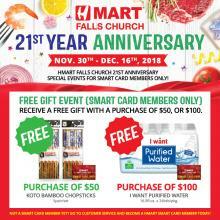 Hmart Falls Church, 21st Anniversary Free Gift Event! Don't miss out on your chance to receive a free gift! 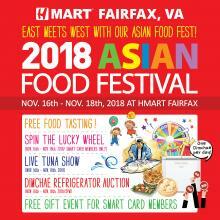 East meets West with our Asian Food Festival in Hmart Fairfax! 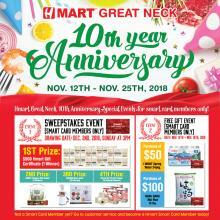 Hmart Great Neck 10th year Anniversary Event! A special thanks for loving us. 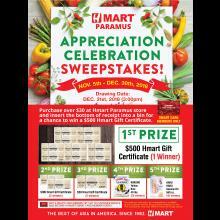 Hmart Paramus Customer Appreciation Sweepstakes Event! Don't miss out the chance to win special prizes! Total 73 lucky winners will receive a special prize! 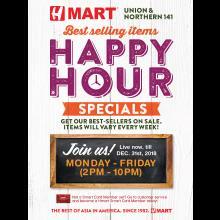 Hmart Union & Northern 141, Happy Hour Specials Sale Event! Items will vary every week! Come in and enjoy our special sale for you. 10/31 Trick or Treat at Hmart!! 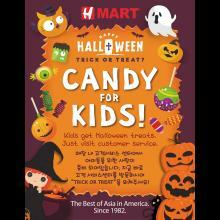 Just visit Hmart customer service and shout out for "Trick or Treat!" 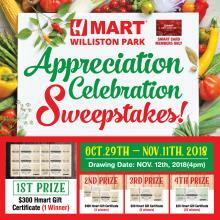 H Mart Williston Park, Customer Appreciation Sweepstakes Event! Don't miss out the chance to win cool prizes! Total 35 lucky winners will receive a special prize! H마트 윌리스톤 파크점에서 열리는 고객 감사 영수증 추첨 모음전! 총 35분께 드리는 특별한 혜택을 놓치지 마세요! Kimchi Everyday Season 5: Submit Your Recipe!